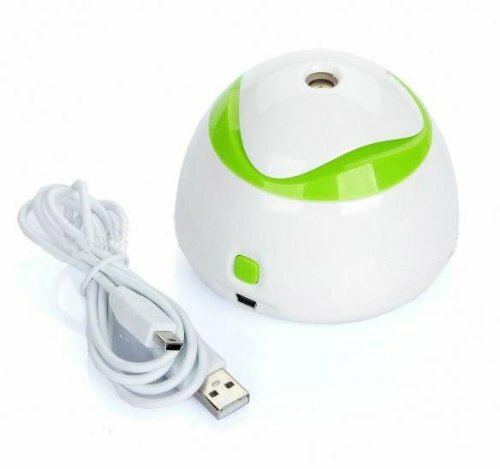 - Easy use : put soaked sponge into the air conditioner body, insert batteries or connect USB port,then it begins to air-conditioning. 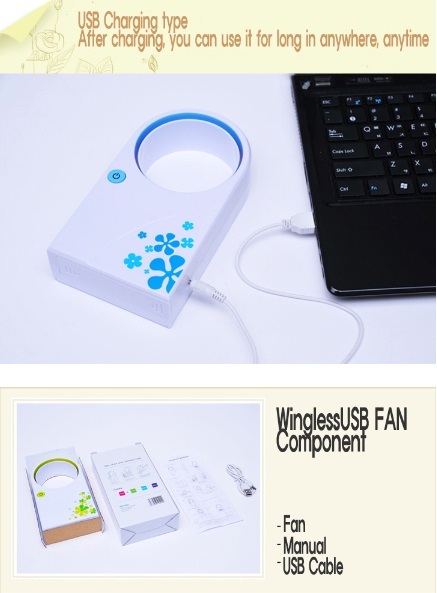 (take sponge away when you dont need the cooling function then it becomes a fan only). 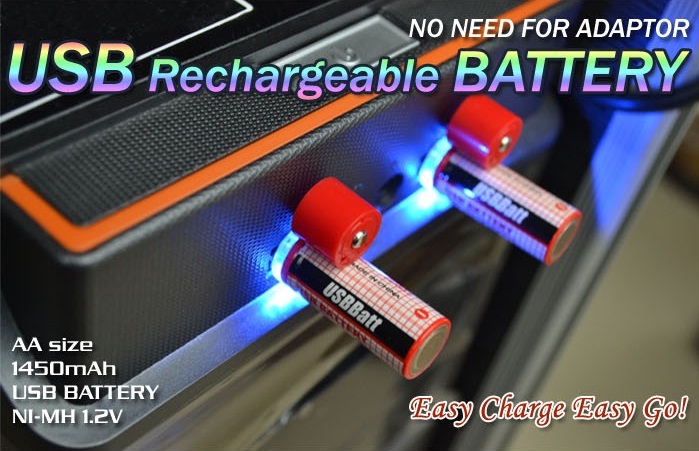 - Power supply choices: 4 x AA batteries, USB port, and power adapter. 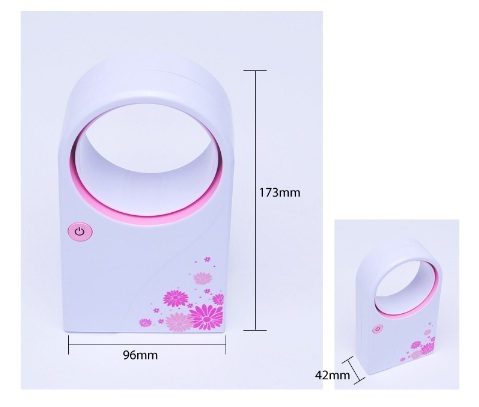 - Comes with a high quality reusable nano-sponge. 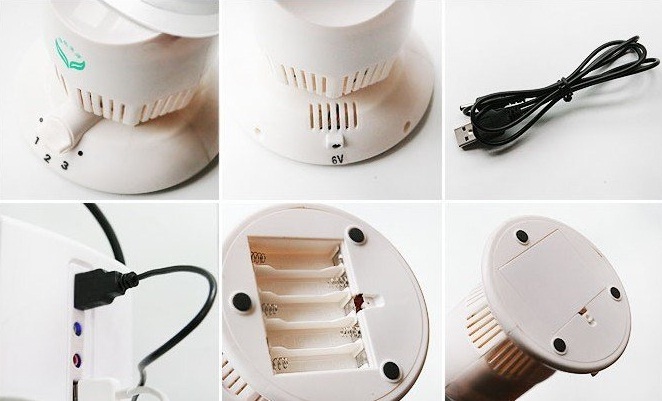 - 90 degrees vertical airflow control for optimal wind blowing. 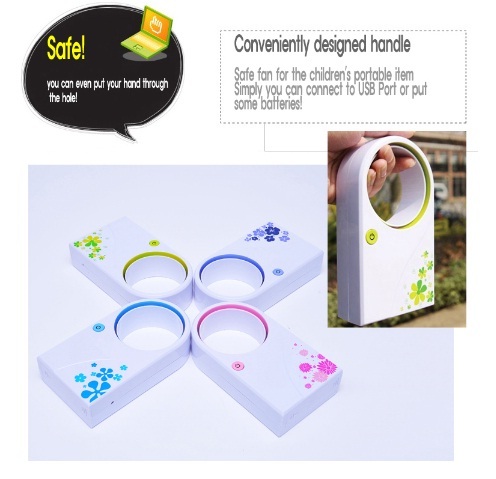 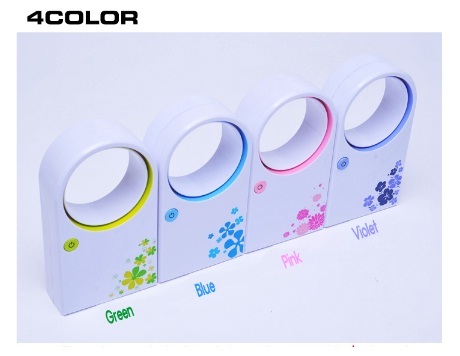 - Cute and lightweight, feel free to take air conditioner anywhere. 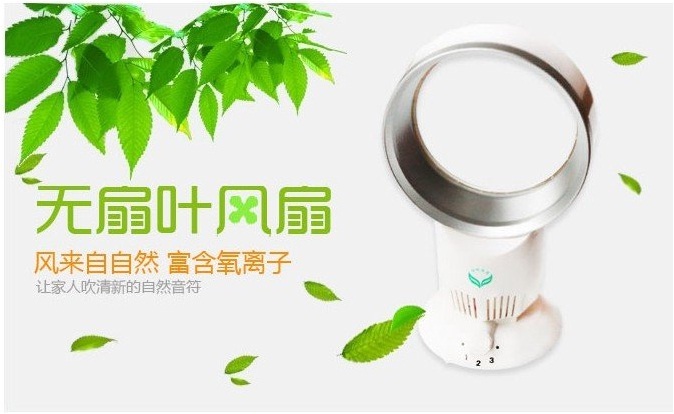 - Enjoy breeze and moisture weather anytime anywhere. 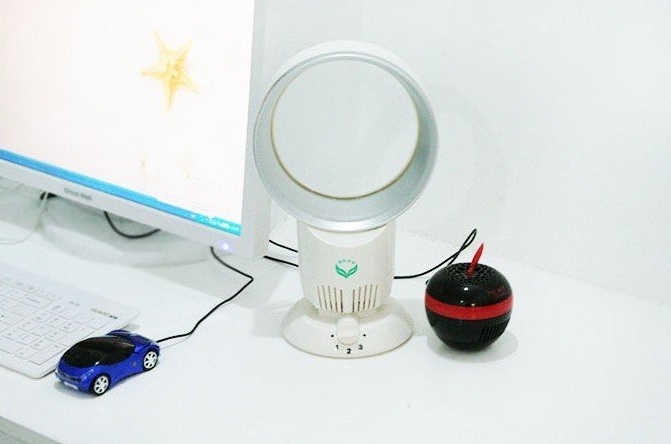 - This is a mini table bladeless fan. 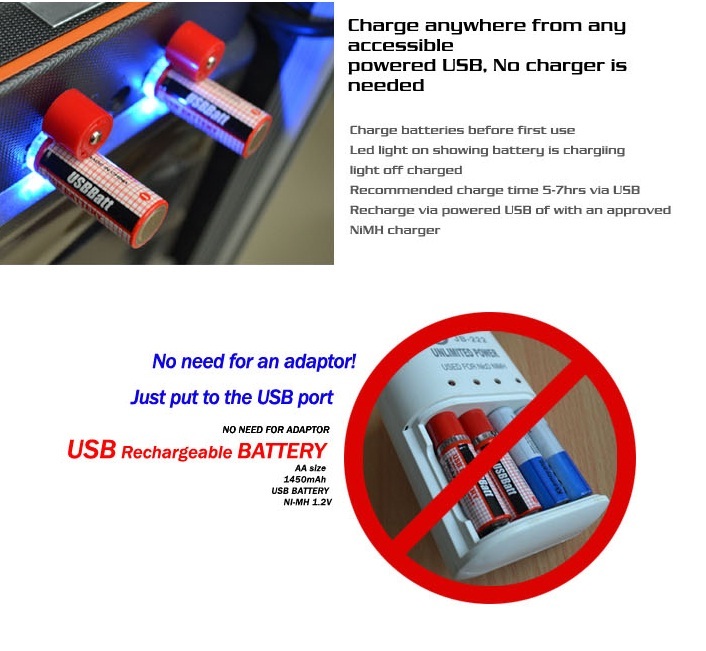 - No need any adaptor anymore, just straight to your computer / USB port. 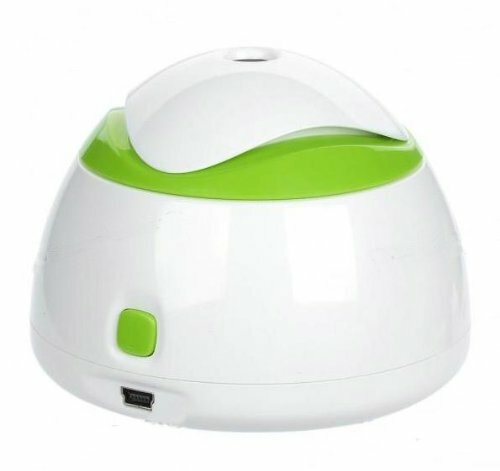 - Best for computer mouse, keyboard, remote control & etc. 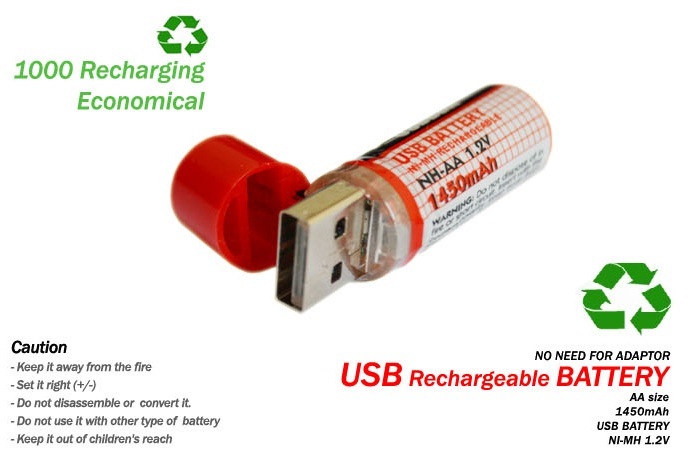 - Why wait , go green now. 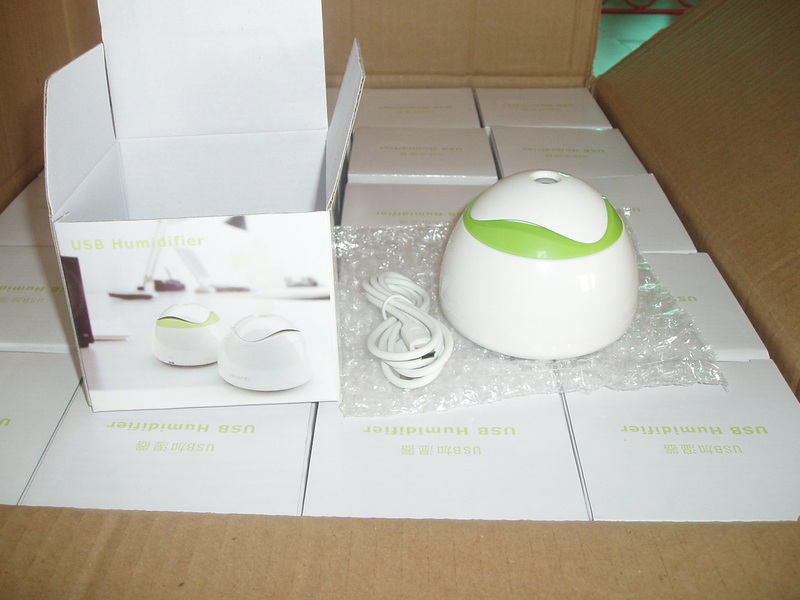 - Drop few drops of essential oil, perfume ,fragrance into aroma diffuser to make atmosphere for comfort.